Today I am home sick from work. Last night I was having fever dreams throughout the night, I kept reliving the same dreams and thought over and over again throughout the night. This usually happens to me when I am ill and trying to sleep through the night. Perhaps this is why I have a special affinity towards Remedy’s latest chapter in the legend that is Alan Wake. We find our hero once again fighting darkness with light, but this time he is in Arizona, reliving the events of the night over and over, each time getting progressively more dangerous and intense. His goal, defeat his evil doppelganger, Mr. Scratch, an urban legend come to life from the powers of Cauldron Lake. For me, Alan Wake’s American Nightmare can be interpreted in three different ways. 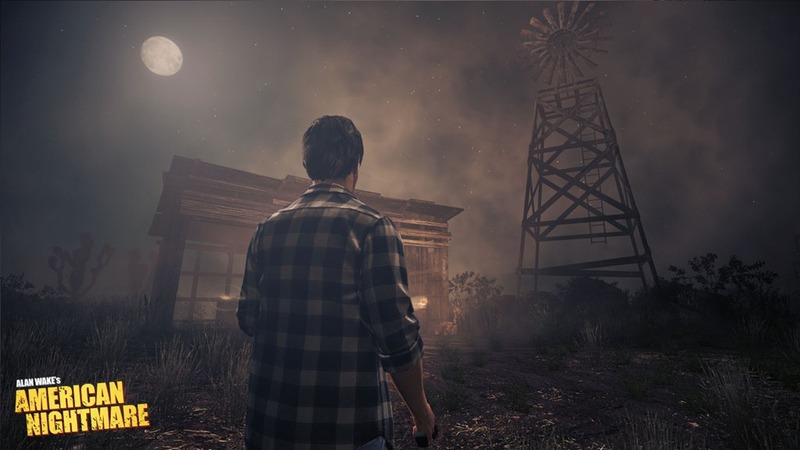 American Nightmare is either Alan Wake somehow reliving a story that he created during his time as a writer of the TV series, Night Springs, or he he has temporarily escaped his exile in the darkness and now faces Mr. Scratch in a twisted version of the Arizona Desert, or the third variation is that is some combination of the two. Either which way you subscribe to it American Nightmare is an exciting extension to the Alan Wake mythos, and it comes in the form of an Xbox LIVE Arcade download. One of the biggest attraction for me to the Alan Wake games is the environments. The original Alan Wake took gamers on a creepy tour of a fictional Pacific Northwest. This time Remedy takes Alan to the lonely Arizona desert. The skyboxes in American Nightmare are second to none. The world as well, as small as it is, is begging to be explored. It makes me long for those times as a child when we would explore the countryside around us under the cloak of night. You were scared and exhilarated at the same time, much as you are in American Nightmare. I also wanted to mention before I forget is the use of the Night Springs narrator from Alan Wake narrating the events of American Nightmare. I thought it was a nice touch, but what does it mean if anything? Gameplay wise, not too much new going on hear. You fight with lights and guns to dispatch enemies, you are collecting manuscript pages, and performing fetch quests to complete your goals. 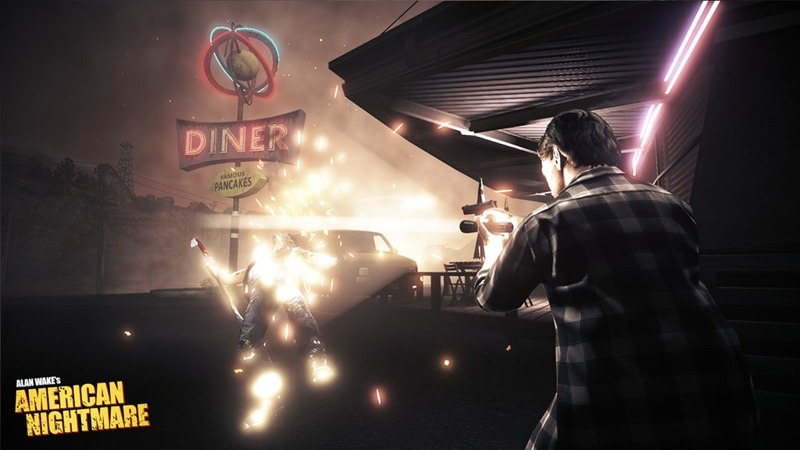 The action in Alan Wake is always secondary to the story. While the action is good, is not overly compelling, it is more in the service of the mood and the storytelling. This is not a bad thing by a long shot, it just may put some gamers off who are focused more on the action than the story. It wouldn’t be an XBLA title if it did not have an element of high-scores and leaderboards to it. That is why they have included a ‘Fight till Dawn’ mode where you have to fend off a series of enemy waves until dawn breaks. This is great for those players who enjoy, or want to improve, Alan Wake’s combat elements. I hope to explore this mode as time rolls on. 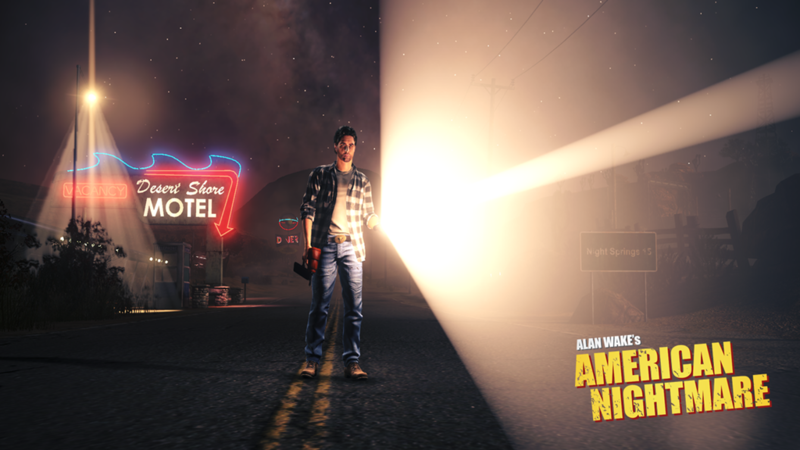 Alan Wake’s American Nightmare hit a sweet spot for me. It came along at the right time and scratched that survival-horror itch that I get from time to time. American Nightmare does not overstay its welcome, even with its repetitive nature, you will still find enough differences and variety to keep you moving through the story. Alan Wake pays off in the end with a satisfactory conclusion, but what does it mean? 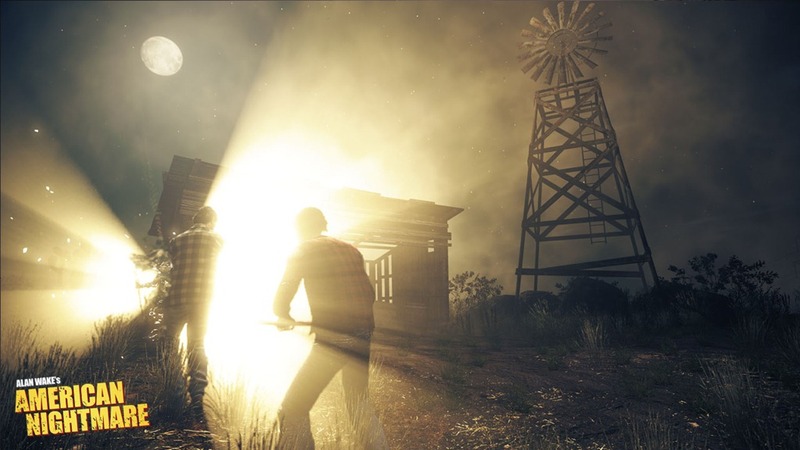 We will either have to keep an eye out for the next Night Springs…or the next Alan Wake proper. Either way, you know I will be there day one! 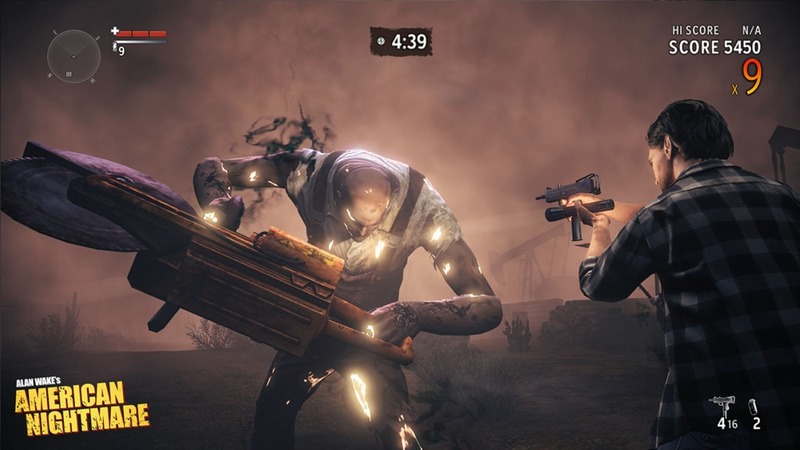 This entry was posted in Action/Adventure, Mission Accomplished, Survival-Horror, XBLA. Bookmark the permalink.